Serve a one-year term of July 1, 2019 – May 1, 2020. Serve as youth representatives of ACT Missouri at conferences, on task forces, and on advisory committees (within an individual member’s ability). Speak publicly about issues vital to the Youth Ambassadors. 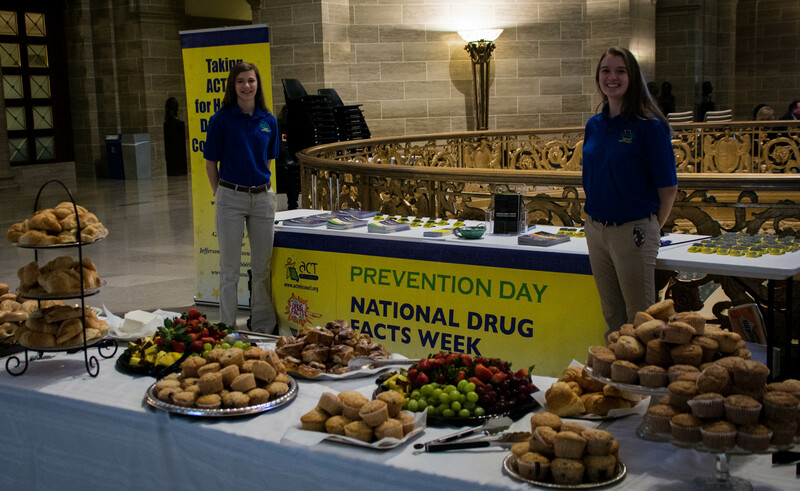 Serve as a role model for Missouri students setting an example of positive and responsible teen attitudes and behavior, including abstaining from using drugs and alcohol. Be able to communicate effectively via email. (This will be the primary form of communication between the Youth Ambassador and the Project Director. )Be sure to list an email you check regularly on your application. Join in scheduled Google Hangouts to discuss works in progress, current events, proposed campaigns, programs, and activities. Work collaboratively with all types of people. Attend two Youth Ambassador trainings in Jefferson City in fall/winter 2019-20. 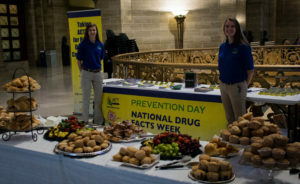 Participate in Prevention Day at the Capitol in Jefferson City in winter 2020. Contribute to the Speak Hard Youth Conference in Jefferson City in spring 2020. Applicants must be a Missouri high school student in the 2019-2020 academic year. All applicants must be students in good academic standing with no lower than a C average overall and must agree to maintain that good standing throughout their term. Students must be willing and able to travel to Jefferson City for trainings and events, and must be accompanied by an adult if under 18. The Youth Ambassador Program will consist of up to 8 students. All completed applications for the Youth Ambassador Program will be forwarded to a panel of judges made up of ACT Missouri staff and volunteers. Those applicants that display the ideal Youth Ambassador qualities listed above based on their application and essay will be contacted for a brief follow-up phone interview with the Project Director. The 2019-2020 Youth Ambassadors will be announced Summer 2019. Each completed application must include the following items. Failure to include any of these items or any false statements, omissions, or other misrepresentations made by the student, will result in disqualification of the applicant. Letter should indicate why the applicant would be a positive addition to the Youth Ambassador Program. The review panel appreciates anecdotes and examples illustrating the writer’s points. All mailed letters should be submitted on letterhead and in a sealed and initialed envelope. All emails should be from a professional email address and sent to info@actmissouri.org with the applicant’s name in the subject line. It is the policy of ACT Missouri to provide equal opportunities without regard to race, color, religion, national origin, gender, sexual preference, age, or disability.